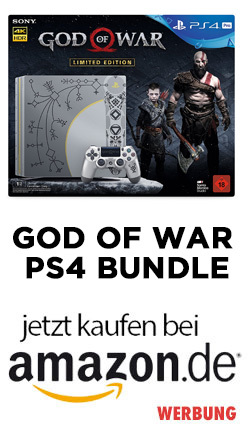 Es kam wie es kommen musste. Nachdem wir Anfang der Woche erfahren haben, dass The Order 1886 eine recht überschaubare Spielzeit bietet, deuten nun auch die ersten Reviews zum Spiel auf einen recht durchschnittlichen Titel. The Order: 1886 isn’t a disaster, nor is it a particularly good game. It’s a hollow diversion, entertaining but outmoded and caught somewhere between a medium it repeatedly fumbles and one it fails to effectively embrace. Galahad’s story, such as it is, concludes so rapidly and with so few loose threads tied off, it’s hard to shake the feeling that someone somewhere decided that it was time for the knight and his cohorts to get out into the world whether they were ready or not. Though it nails some of the fundamentals, The Order: 1886 has been released without answering the essential question of what it offers that other games aren’t already doing better . Everything about the game’s final shot screams „sequel set up,“ but unless The Order finds some non-aesthetic reasons to justify its existence, it’s hard to imagine coming back for a second adventure. It might sound an odd comparison, but when playing through The Order, I found it impossible not to think of Arnold Schwarzenegger’s 1988 comedy classic, Twins. In the film, Arnie’s character, Julius, is a genetically engineered super man, a refined, improved version of humanity intended as a shining blueprint for the future. But he is born alongside an unexpected twin brother, Vincent, played by Danny DeVito, who exhibits none of Julius’ carefully chosen qualities. If The Last of Us – with its intelligent, progressive, resonating, modern interactive narrative design – is Julius, then The Order, with its dated, automated, uninvolving delivery of similarly epic aspiration is – as a scientist bluntly describes DeVito at one point in the film – ‘all the crap that was left over’. Still, at least it looks really nice. While The Order: 1886 is a fun adventure with lots of intriguing reveals about the nature of its world, it’s also clear that Ready At Dawn intends for this to be the first game of a grander story. Players should brace themselves for a lot of unresolved character arcs and unanswered questions. This is an origin story, but a fascinating one. 1886 goes against the current tide of open-world wandering and emergent sequences, and banks on the idea that players can enjoy a straightforward and relatively brief cinematic adventure – if it’s well told and original. I hope Ready At Dawn is right; I’d love to see what happens in 1887. This game, however, is naught but a glimpse of all that dormant promise. The Order: 1886 is a primer, not a story that feels complete or particularly worthwhile. When it allows itself to focus on action, it can provide a stimulating round of pop-and-fire combat, at least before it allows itself to drown in common distractions and intellectually insulting button prompts. While clearly assured in itself as a concept, it doesn’t extend that same faith to the player, so eager it is to hold its audience’s collective hands and guide them through corridors of patronizing tutorials and arbitrary gates to progression. The Order is a beautiful dud. Instead of building the core mechanics and then wrapping everything else around it, instead it appears Ready at Dawn made a movie and wondered how to put a game into it. By all accounts it still hasn’t worked it out. There are things here worth checking out, but the action feels half-cocked and you’ll be finished with it in an afternoon. I won’t pretend to guess at how much $60 means to you, dear reader, but I will say that The Order is a middling experience with a couple of bright flashes that only serve to remind you that this could be a more interesting game if more of its ideas were fully formed. If you’re bent on seeing The Order for yourself, you should probably rent it. All of these gameplay tropes are then shoved together into herky-jerky levels that end just when you think they might gain momentum. The only individual sequence lengthy enough to find a rhythm is a later stealth level, though it’s far too simple to inspire wishes for more sneaky sections. What, then, to make of The Order: 1886? It is, at best, perfectly playable, and lovely to look at and listen to. But it is also the face of mediocrity and missed opportunities. A bad game can make a case for itself. A boring one is harder to forgive. The Order: 1886 doesn’t feel like the product of someone’s grand vision; it feels like the tatters of that vision have been gathered, taped together, and presented as complete. The best I can say of it is that its premise is just novel enough to feel wasted. As I played, I kept wishing for some hint of inspiration, a dash of spirit to warm me against the chilly downpour of mediocrity. I found none. 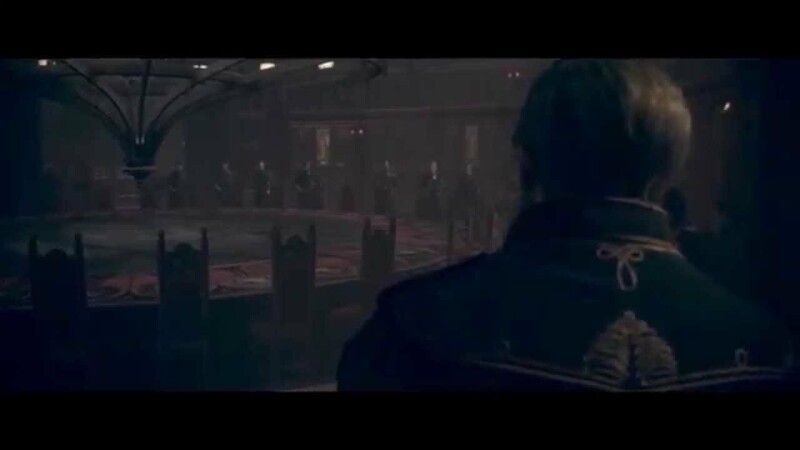 The basic conflict at the heart of The Order: 1886 is that considerations for a cinematic approach are prioritized above the needs of basic gameplay. Its best aspects are its stunning looks, atmosphere, and style – which are truly fantastic – and entertaining fiction. But the shallow, slow, and generic quick-time event-riddled gameplay make it feel like an experience that would’ve been better served by a non-interactive movie than a game. With no multiplayer, and no reason to revisit the short and stunted single-player campaign once it’s been completed, there just isn’t a lot to it.